014-africa-photographer-2010_01277-irene-abdou-photography.jpg | Irene Abdou Photography, LLC - Travel. Lifestyle. Documentary. NGOs, Development & Public Health. 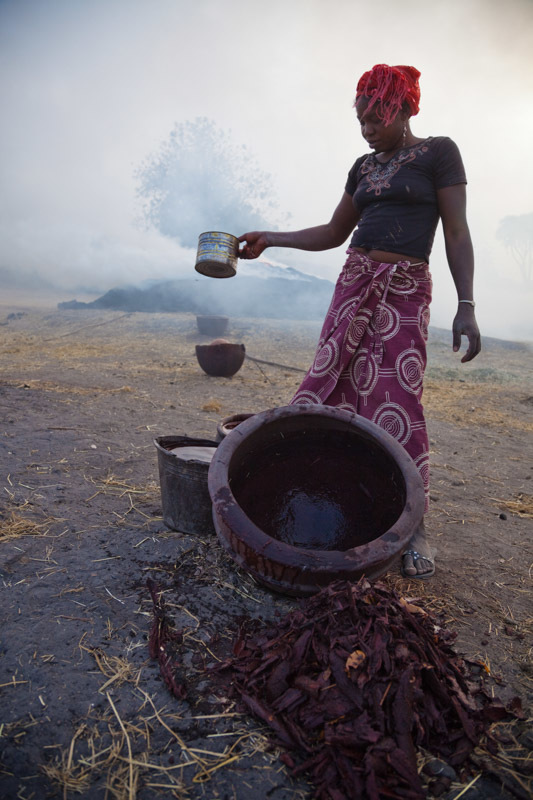 Next to the kilns, a woman separates the red bark of a certain tree from the water it has been soaked in. The red-dyed water will be used as a decorative glaze for the pots yet to be fired. The glaze is most often applied to the neck of the pot.